A new week calls for a new feature! We'd like to introduce you to #dogmommonday, where we'll feature a photo and brief profile of a #dogmom in the DC area! 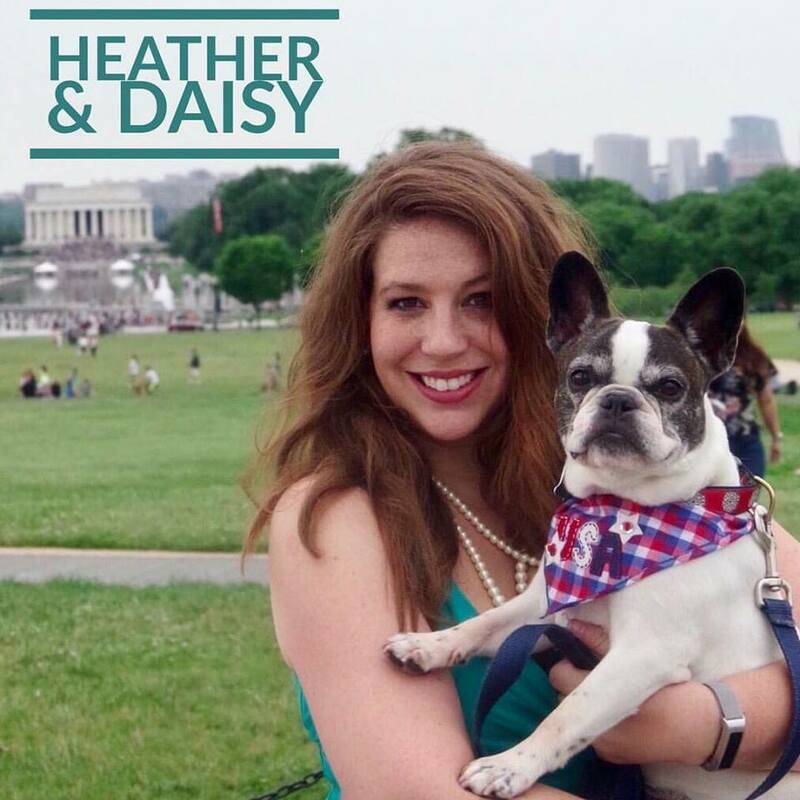 We're kicking things off with the @dcdogmoms' own Heather—get to know her and Daisy more below! Heather's favorite thing about Daisy: She has such a huge personality—she communicates what she wants. And she's an aggressive snuggler, which I love. Daisy's favorite thing about Heather: "Heather is a sucker for my cute face and frequently caves in to my demands for absurdly long walks and snuggles in her bed." A perfect DC day: We'd walk to Logan Circle to hunt squirrels and pigeons (she's caught some before! ), enjoy breakfast and some couch snuggles, and then maybe go for a bike ride on the Mt. Vernon trail in our @k9sportssack. Daisy is a booze hound, so she'd probably ask that we end the day with some drinks outside where she can scam food and wine from our #dcdogmoms friends.